The Lloyd D. Smith Foundation is pleased to announce scholarship opportunities for 2015 high school graduates of Ward 7. Lloyd Smith was a long-time Penn Branch resident and husband of Penn Brancher Mary Ann Smith. Lloyd D. Smith was recognized as a pioneer and leader in housing, community and economic development throughout the Washington Metropolitan area. He also received national and international recognition for his many accomplishments and achievements. During the 1980s and 1990s, he served as President and Chief Executive Officer of the Marshall Heights Community Development Organization (MHCDO). Under his leadership, the organization grew from an annual budget of $115,000 to over $5 million and became known for developing single and multi-family housing and commercial properties, and for managing numerous social service programs. Prior to leading MHCDO, Mr. Smith had 27 years of federal and district government service. Mr. Smith was an organizing director of City First Bank of DC and was a mayoral appointee to the Board of the National Capital Revitalization Corporation. He became Chairman and served as Acting President of both organizations. Mr. Smith has been featured in several documentaries, and his story has been chronicled in The Washington Post and The Wall Street Journal. Mr. Smith was instrumental in arranging for former First Lady Barbara Bush and Queen Elizabeth II of England to visit Ward Seven in 1991. President William Jefferson Clinton toured the area in 1993. Mr. Smith had a passion for African-American history and genealogy. He founded The Pearl Coalition, which was formed to commemorate the escape attempt by 77 local slaves in 1848. He also did extensive research on his family ancestry and was compiling his memoirs prior to his death. Penn Brancher, Mary Ann Smith is a founding member of the Lloyd D. Smith Foundation, and served as chairperson for five years. Recently, she assumed the role of treasurer. Mrs. Smith was married to the late Lloyd D. Smith for 25 years and is a long time resident of Penn Branch. We are proud of his contributions and legacy to the Penn Branch and Ward 7 community. Penn Branch Resident Pamela D. Bridgewater Toure (July 22, 1969 – Dec. 27, 2014) passed away on December 27, 2014 at the age of 45. 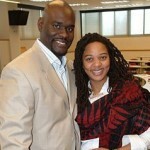 Pam was an active member of the Penn Branch Citizens Civic Association (PBCCA) and wife of past president, Kweku Toure. Pam produced the Penn Branch newsletter, lead a valuable PBCCA seminar on wills and trusts and senior issues, as well as helped organize host the 2014 community inner dance. Pam never let cancer slow her down. Pamela was also an activist lawyer and legal scholar specializing in issues related to reproduction, sexuality, identity, poverty and women’s health. 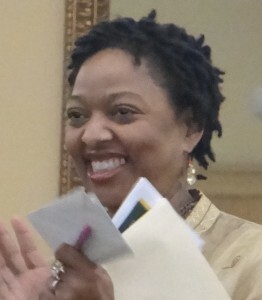 As a lawyer, Pamela provided legal defense of reproductive health care clinics, service providers and activists, and also provided pro bono legal service and consultation on matters such as estate planning for poor people and people living with HIV/AIDS, as well as legal services for peace activists and activists within the fair trade and globalization movements. As a professor, she inspired students at Northeastern University’s School of Law and at American University’s Washington College of Law, where she became a tenured law professor by the age of 35. Until illness made continuing at AU impossible, she taught property law, inheritance law, and reproduction and the law. Pam who took such an active role in some many venues was a friend, advocate and inspiration to many; she will truly be missed. A memorial services were held at the Woman’s National Democratic Club, located at 1526 New Hampshire Avenue, NW, Washington, DC 20036, on Sunday February 1, 2015 ..
DC Department of Transportation (DDOT) continues to upgrade all streetlights within the Penn Branch boundaries. These new LED lights use less energy, are much brighter, but also are designed to reduce light pollution by not reflecting upwards. Last spring, the PBCCA Public Works Committee sent a letters to residents whose houses boarder the O Street Wall to make sure that all weeds, grass, and trees are at least 3 ft away from the wall. Most residents have done a stellar job of managing their yards and avoiding any impacts to the structural integrity of the wall. However, several homes still have weeds growing out of their yards and hanging over the wall itself. The city will be coming out in January 2015 to clear these areas at a cost to each home. The United States Park Service last year started major improvements on the Fort DuPont Park trail system. The seven mile Hiker/Biker Trail connects six Civil War earthwork fortifications for mountain bikers and hikers to learn about the rich history of the Civil War Defenses of Washington while exercising in a beautiful mature forested park.